“I became a member of the PNTMC when buying NJ 3058 from John Tiffney back in December 2010. 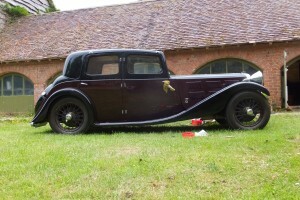 This car is my only Prewar-Triumph, though not the only Prewar-car (with two Rovers, sorry, probably you won’t want to mention that!). My cars can be found on my website , which is not fully up to date. Sold: Triumph Italia and Swallow 7, bought AC 3000ME. I’m interested in Triumphs, Rovers and specialist’s cars (AC, Marcos and the like). I can be contacted in English, German and French.